Although at the moment all the attention is directed towards Apple’s new iPads and its brand new, 2ndgeneration Apple Pencil, there are still multiple reasons to include the original version with our recommended tools. The original Pencil is still a fantastic accessory, which can now be used with the latest iteration of the regular 9.7 Inch iPad, providing the cheapest solution for digital documentation. One of the Pencil’s biggest advantage over any other iPad compatible smart pen is its ease of use. Upon first use, one doesn’t need to do any pairing or fiddle with the Settings app. As soon as the Pencil is plugged in to the iPad’s Lightning port it is ready to go. 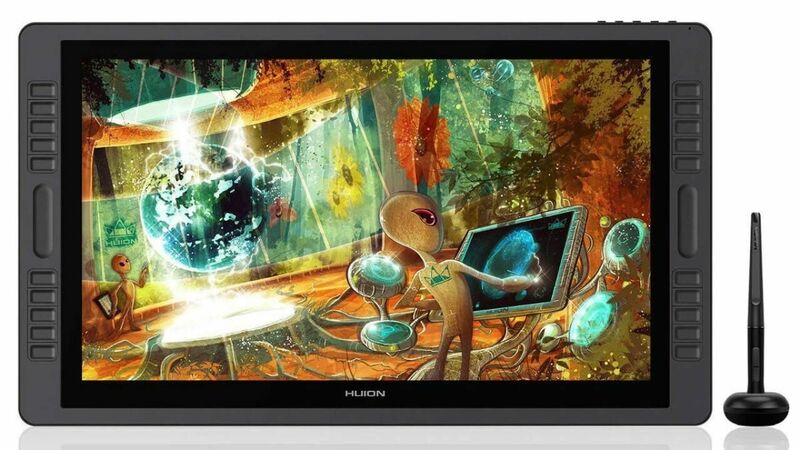 Beyond its sophisticated drawing capabilities, it works as a stylus with any app, letting you launch, navigate, scroll, and complete basic operations. You can even trace over a regular sheet of paper. 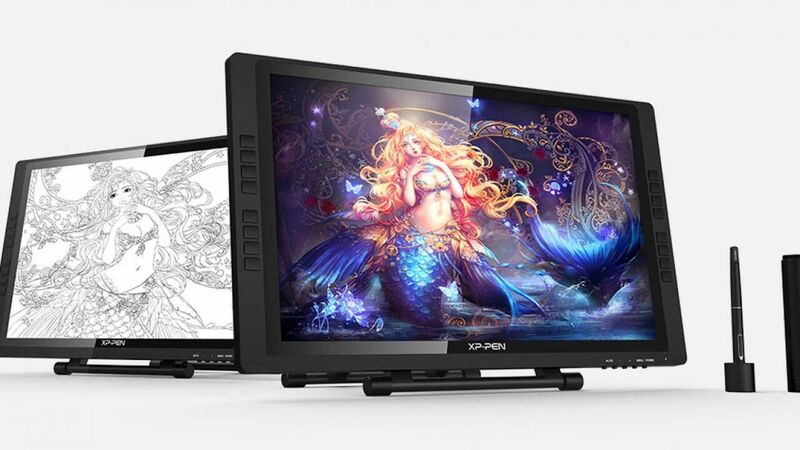 The screen automatically recognizes when you are using the Pencil, and, in response, dynamically boosts its scan rate to 240 times per second to minimize latency, the time between the Pencil’s point touching the glass and a mark appearing on the canvas. Simultaneously, the Pencil’s sensors work with the display to detect its position, force, and tilt as well. One can apply only a light touch to get a thin stroke or press harder to get a thicker stroke and rub lightly with the side of the Pencil’s tip to imply shading. It works just like using a regular pencil on paper, however the quality of the shading depends on the app and the nature of the digital brush. However, there are a few shortcomings of the original Apple Pencil, which you should know of before making the purchase. The beautiful round shape of the Pencil predestines it to roll endlessly, if placed carelessly on your drafts table, which might end in it being dropped unseen to the floor. A possible solution (with some additional benefits) can be provided by putting it in a protective magnetic sleeve, such as the FRTMA Soft Magnetic Silicone Holder Grip. 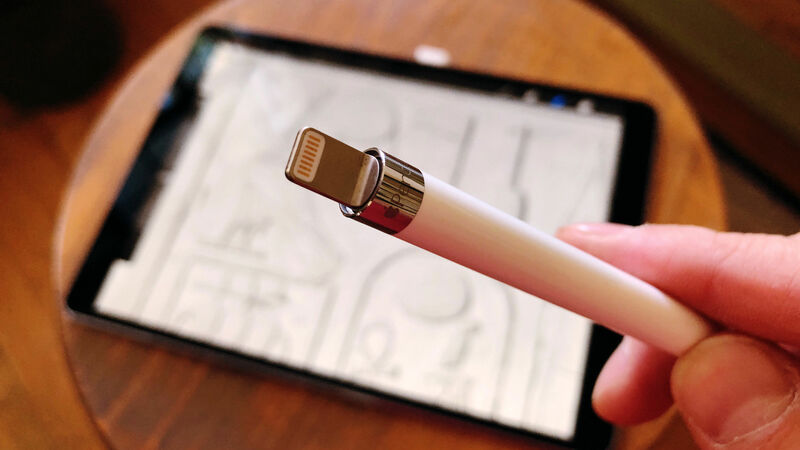 Another issue is the widely mocked charging method, which involves removing a small, therefore easy to lose, cap on the end and plugging it in to the iPad’s Lightning port at a dangerous-seeming 90-degree angle. However, there are many additional ways to recharge the Pencil. An easy solution is to use the adapter that comes in the box, but one can also purchase a specific charging cable or charging dock with a female Lightning port. The good news for digital field epigraphers is that the Apple Pencil charges fast. When it runs out of charge, its lithium-ion battery can be recharged in a short time, with a quick 10-minute top-up providing an extra half an hour of use. 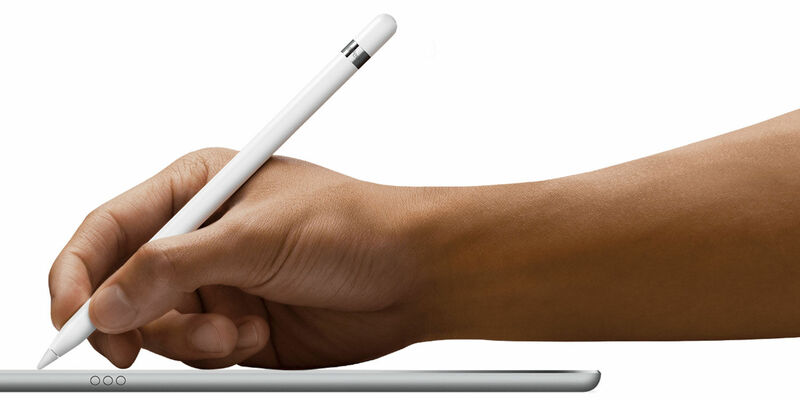 The first-generation Apple Pencil is available directly from Apple’s online store and from any brick-and-mortar Apple store around the world. As it is often the case, one can save a few dollars (currently it is listed for $94.88) by ordering it from Amazon. Although, there is one extra pencil tip included in the box with the Pencil, you can purchase additional ones coming in fours directly from Apple.